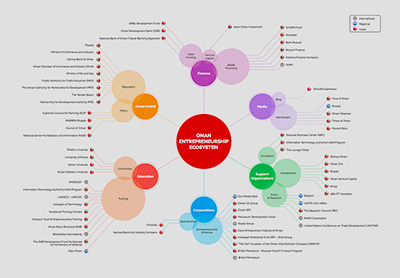 The Oman Entrepreneurship Ecosystem Map is designed as a tool for entrepreneurs, support organizations and policymakers involved in Oman’s entrepreneurship ecosystem. 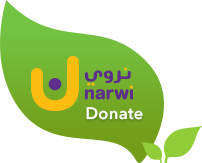 It presents the relationship between various organizations and entities involved in finance, education, government, media, the private sector, donor institutions and entrepreneurship support organizations. 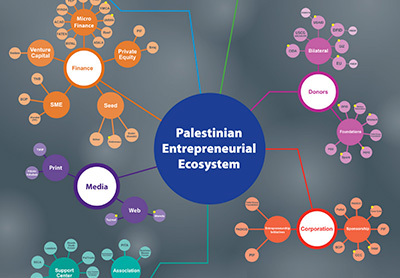 The Palestine entrepreneurship ecosystem map is designed as a tool for entrepreneurs, support organizations and policymakers involved in Palestine’s entrepreneurship ecosystem. An in-depth analysis by Palestine for a New Beginning (PNB) and regional social initiative Silatech has produced an interactive map designed to help enable more effective interaction between entrepreneurs, support organizations and policy makers. Now available at www.palestinemap.info, Silatech web site, and on www.Ta3mal.ps, the ecosystem map presents the relationship between over 100 various entrepreneurship-related organizations and entities involved in finance, education, government, media, the private sector, donor institutions and civil society. The interactive map provides a short description of each organization and link to its website, as well as information about where each organization operates and, where appropriate, which economic sector(s) it targets. Palestine suffers from the highest unemployment rate in the Mashreq region, at 23 percent. Palestine’s youth unemployment rate tops 38 percent, higher than the Arab world’s average of 30 percent. The Arab world has the highest youth unemployment of any region in the world. Holding that helping new businesses to start and grow is essential for creating desperately needed jobs, Silatech works with over 100 partners throughout the Arab world to provide entrepreneurship and employment opportunities for young people. Since 2008, Silatech has enabled more than 90,000 youth-run businesses to start and grow, supporting more than 140,000 youth jobs. In Palestine, Silatech partners with a variety of organizations to support Palestinian youth in areas such as access to microfinance, employability resources and job openings through Ta3mal.ps, career guidance, civic engagement and leadership training. Palestine for a New Beginning is an alliance of public and private sector institutions and individuals that aims to leverage resources and experience by investing in innovative new projects and building on existing successful initiatives. 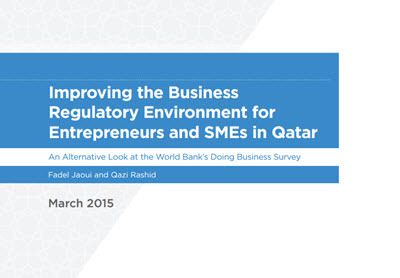 This policy report takes a closer look at the WB’s Doing Business survey, with the objective of identifying key areas of improvement in the business regulatory framework of Qatar that would ensure a more business-friendly environment. 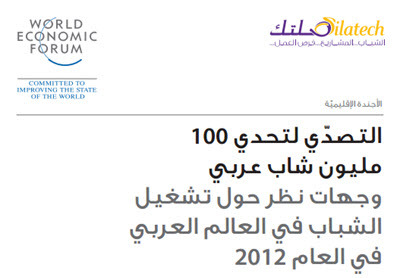 Originally compiled in English by the World Economic Forum’s Global Agenda Council on the Arab World, the Arabic version of this report has been produced by Silatech. The report is a collection of essays published to provide a direct response to the Arab world’s uniquely high level of youth unemployment. The Qatar entrepreneurship ecosystem map is designed as a tool for entrepreneurs, support organizations and policymakers involved in Qatar’s entrepreneurship ecosystem. 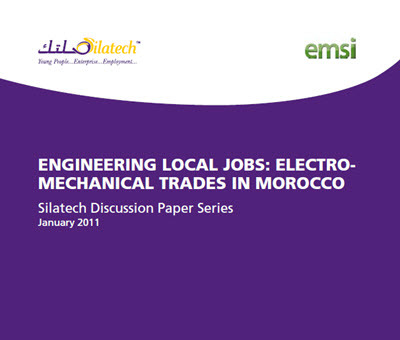 This discussion paper highlights areas where strategic investment in Morocco is likely to create jobs and have strong economic returns.